Even though there is no Duty-Free area available at the airport, there are a couple of stores where the one can make a last-minute purchase. Those are Tennessee Marketplacewhich is located on the left, at the post-security zone and is opened from 05:00 until 19:00. Smoky Mountain Travelmart which is located near the ticket counters at the pre-security area and is opened from 05:00 until 19:00. 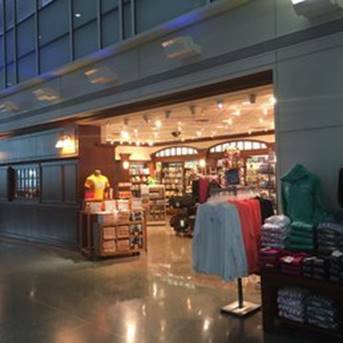 Passengers and guests of the airport may buy merchandise, accessories, some clothing items there.